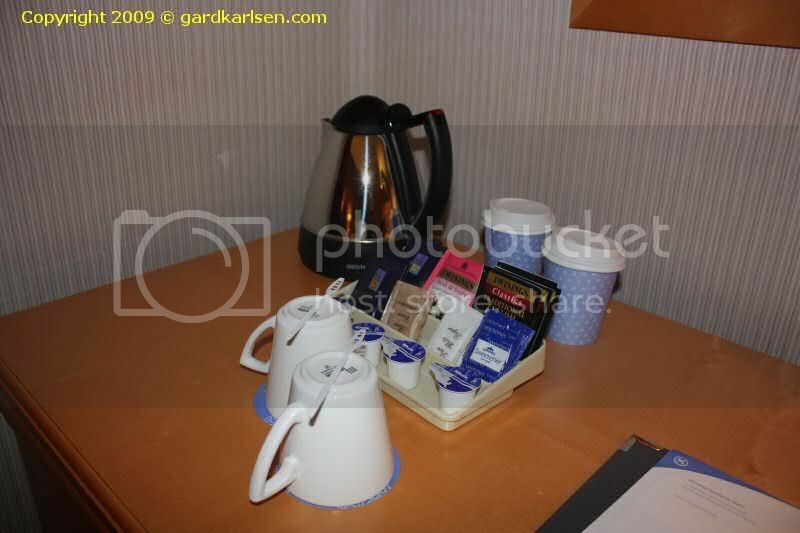 I stayed at Sheraton Heathrow hotel (not the Sheraton Skyline) for one night in September 2009 and I booked the room on SPG online and got it for 69 GBP (including taxes but excluding breakfast). When I reached Heathrow airport I took the Hoppa H4 bus (costing 4 GBP) to get to the hotel and it didn’t take many minutes. Check in was fast and I was assigned to SPG room 3139. Read the entire review below by clicking on the more link below. The room itself was not impressive on entrance as it seemed like a fairly standard room. The small hall was tiled in dark tiles (together with the bathroom) and the rest of the room was with striped carpet. The walls were with striped wall paper while the wall behind the bed was in dark purple. I have actually stayed at Heathrow Sheraton a few years back and it seems to be the same as I remember it. 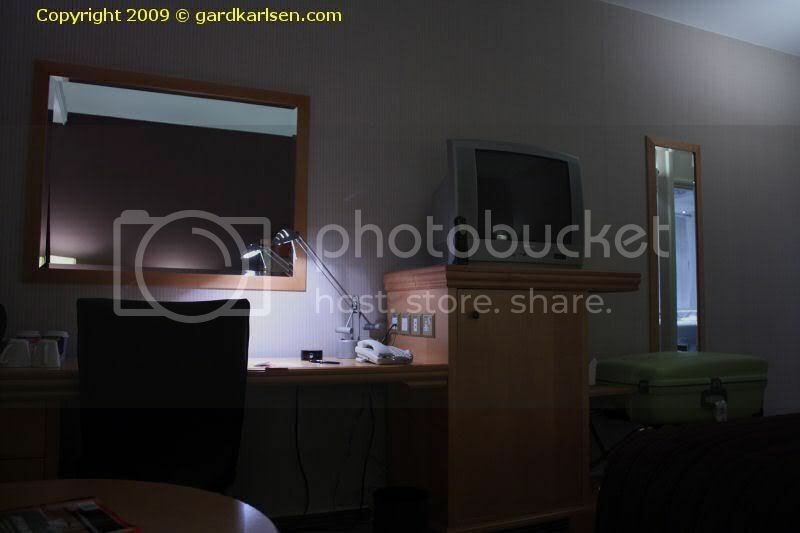 There is a standard size CRT TV on top of furniture containing a mini safe and a small fridge. I was not able to open the fridge so maybe there was something wrong with it? I think I had the world’s most depressing view from my room as I was looking into a “backyard” with all the ventilation shafts or something like that. The work desk had the option of plugging in both 125V and 230 V and internet was available via both WiFi and cable (for 15 GBP for 24 hours). On the work desk there was also a water boiler in order to make coffee and tea. Apart from that I had a chair and a small table together with a queen size bed which was pretty comfortable. Sheraton does advertise that they have heavenly beds and I had nothing to complain about at least. 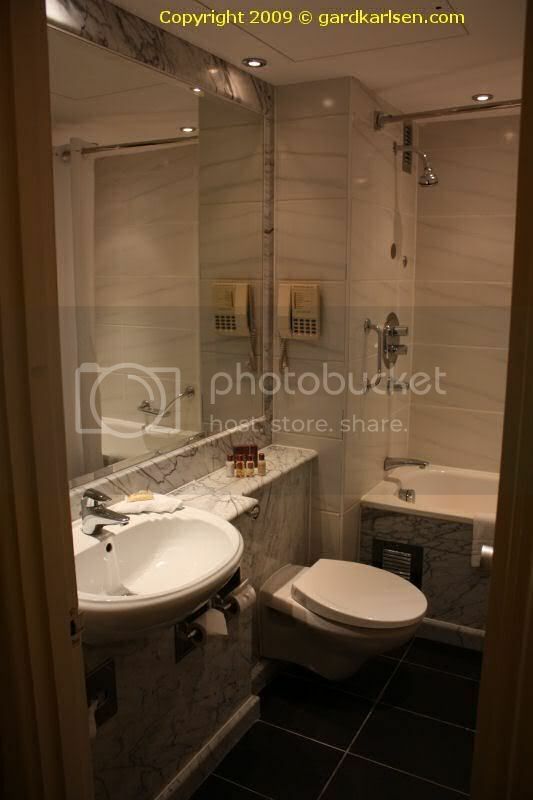 The bathroom was tiled with dark tiles on the floor and with light tiles on the walls. The shower option was in a bathtub with a shower curtain which is not my favorite. 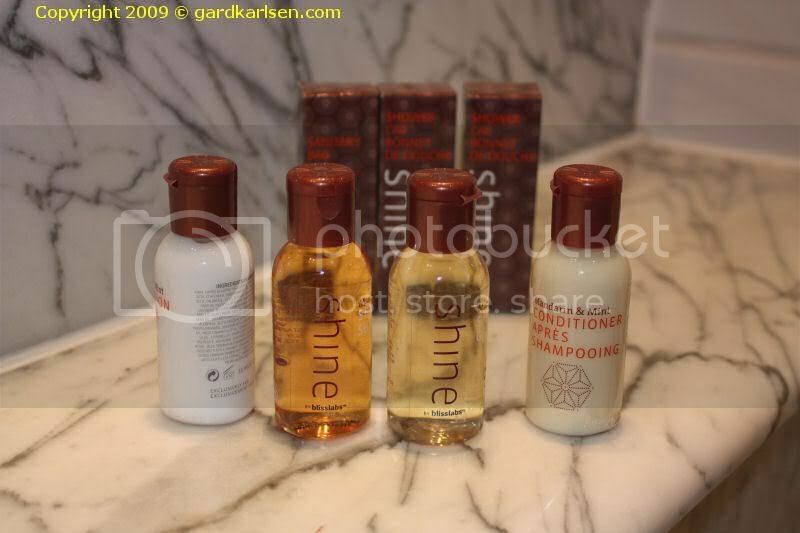 Amenities contained the usual shampoo, conditioner, shower gel etc. After seeing various movies posted on the net I have gotten a bit skeptical about the cleanliness of hotel room – and at the Sheraton there were several hairs floating about in the bathroom but maybe that is unavoidable. In the morning I didn’t have breakfast included in my room so I ran across the road where you can find both a McDonald’s and a gas station selling sandwiches. But note that you have to cross a couple of streets with lots of traffic so getting to the other side might take some time. Sheraton Heathrow is an airport hotel and it seems like it is a notch below Sheraton Skyline. But still a good option if you are just staying for a night at the Heathrow area. Here is a video of the room as well and it should give you an impression of what to expect. just wanted to let you know I happened upon your site trying to find someone’s trip report on Tokyo. My boyfriend and I are trying to plan a trip for January. Anyways, your site inspired me to start my own blog, thanks for the idea! I just started it…www.meganandandreblog.com. Also, I havn’t blogged about it yet, but I traveled to Norway two summers ago and loved it.